When I think of courage and God’s word, I normally think of stories such as Moses and the Red Sea, Joshua and the Battle of Jericho, or David and Goliath. What do all these stories have in common? The heroes are all males. Have I ever really considered the courage of the women in God’s Word? I admit — this isn’t something I heard much about in Sunday School class as a child. And I can’t say I taught a lot of Sunday School lessons about female role models when I was a teacher. 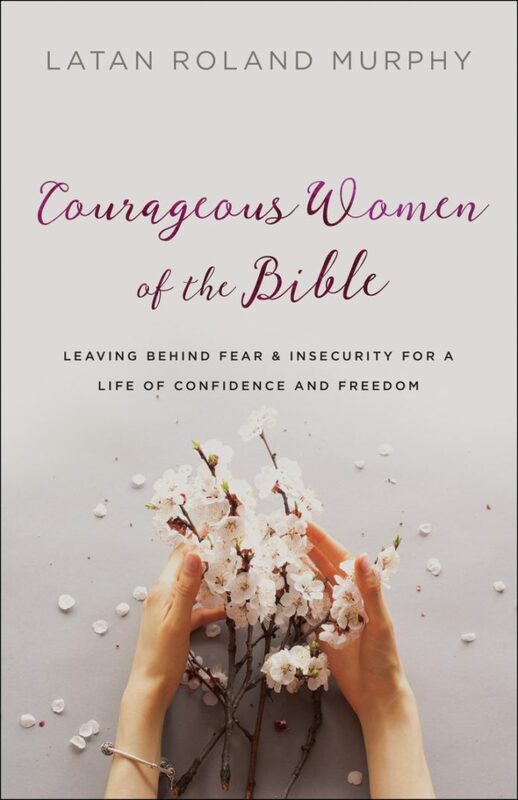 In Courageous Women of the Bible: Leaving Behind Fear & Insecurity For A Life Of Confidence and Freedom,” Latan Roland Murphy details the courageous stories of 11 women in the Bible, and they all demonstrate valuable life lessons for today’s Christian woman. I don’t know what you’re facing right now. Perhaps you are dealing with infertility. Maybe your marriage is on the rocks. You may think God has forgotten about you and He’s never planning to answer your prayers. God might be asking you to do something you don’t feel you are capable of, and you’re seeking for answers. There are many reasons today that women seek courage. Satan fights us every day through our families, our jobs, our health, and our daily tasks and responsibilities. Sometimes we feel like falling into a heap at the end of the day wondering if anyone cares about our struggles. Deborah — This judge of the Old Testament was such a strong woman that Barak refused to go into battle without her, even though he had 10,000 soldiers. She ruled a nation of grumblers, and she showed us how to lead even after God’s appointed man refused to do it. Maybe circumstances have required you to step up to the plate and serve as the spiritual leader of your home. Remain true to God’s appointment, and be willing to fulfill His plan in your life, no matter how lonely the path may be. The Woman with the Issue of Blood — After 12 long years, she took what may have been her last chance and fought through the crowd to get to Jesus. As a result, she received abundant life. Maybe it’s not a physical illness, but in our spiritual lives, we also need to fight to get to the Savior. Courage allows us to go toward Jesus instead of running away from Him. The Widow with Two Coins — When she entered the temple, she had one thing on her mind — to give ALL she had. Jesus doesn’t care about what we have to give to him. He cares more about the condition of our heart. Latan said it takes courage to give publicly, but it takes more to give our all when no one is watching. When we rob God, we rob ourselves of the sweet life Jesus has planned for us. Jael — She awoke one morning with no clue that God had a mission for her that day. Are you in enough tune with God to allow him to work a miracle through you? Look for opportunities to be included in His plan. Latan says God will even use our “crazy” if we are willing to be used by Him. What gifts has God placed in your hands to use for his glory? Abigail — Latan acknowledges that sometimes it’s hard to do the right thing when stronger, overbearing personalities, like her husband Nabal, try to control or dominate our lives. But we don’t have to allow these people to destroy our tomorrow. You can still own your future and bring blessings to your family despite the filth of your current situation, and she notes that nothing can taint our godly beauty. Bathsheba — No matter what the temptation, we need to fall on our knees and pray for God to change our hearts. We need to consider the consequences of our sin before falling prey to Satan’s traps. Trust in God’s promises, and have the courage to face the truth and avoid desperation. Ask God for the courage to make you content with His plan for your life, and if you fail, trust in the redeeming power of God. Don’t let Satan persuade you that you’re not enough, and don’t let your past keep you from finding future freedom through the power of Christ. The Samaritan Woman — If you’re empty inside, you need courage to engage in an intimate relationship with Jesus Christ. Come to the well, and let Jesus fill you and refresh you with living water. Trust in God to bring you from a sinful past to a future filled with happiness, love, joy, and peace. Mary — “When we listen closely, heaven will whisper the will of God for our lives too,” Latan said. And we need to answer God just as Mary did: “Be it unto me according to thy Word.” God can also put us in a position to take on a new life full of confidence and freedom. No doubt, the mother of Jesus experienced confusion when she hard about God’s plan, but she still responded to His call with courage, without knowing what the ending would be. God’s story for our life is always best, and we need to stop trying to control, direct and fix our own lives. Let God lead — He knows what He is doing. Jochebed — Sometimes we allow the things we fear most to impact our futures and keep us from growing spiritually. Latan encourages us not to be a slave to fear. Jochebed made the choice to do one of the most painful things a mother could ever do. Life’s big problems are not easy, but her courage to trust God and her surrender to His will eventually led to the deliverance of the children of Israel from slavery in Egypt. Despite your past and your fears, God’s plan is already in place to ensure your future freedom. The Shunammite Woman — When she prepared a room for Elisha in her home, she also made room for God to work in her life. When your prayers and dreams don’t come true, do you still focus on how you can serve God? Do you wonder if God cares for you? Maybe you feel God has deceived you and you don’t want to get your hopes up. Remember that God is still writing your story, and He’s not finished yet. In chapter 12, you have the opportunity to journal your thoughts and answers to a series of questions about these powerful women of courage and how their individual stories apply to you and your spiritual lives. I highly recommend this book for all Christian women. No matter what your circumstances are, each chapter will speak to you and give you the inspiration, encouragement, and scripture you need to help you fight for yourself, for your families, and for those you love. Angie Duduit is the Owner/President of Joel Communications, LLC in Lucasville, Ohio. She has 24 years of experience in public relations in the nuclear industry. 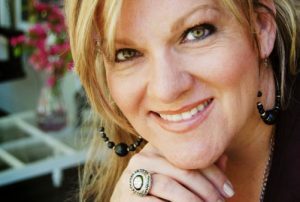 She and her husband, Del, have two adult sons, Gabe and Eli, and they all attend Rubyville Community Church where Angie sings, plays the piano and directs music for the youth group. Is the American Church Ready for What’s to Come?